I love capturing a photographic image with my camera, stopping a moment in time. 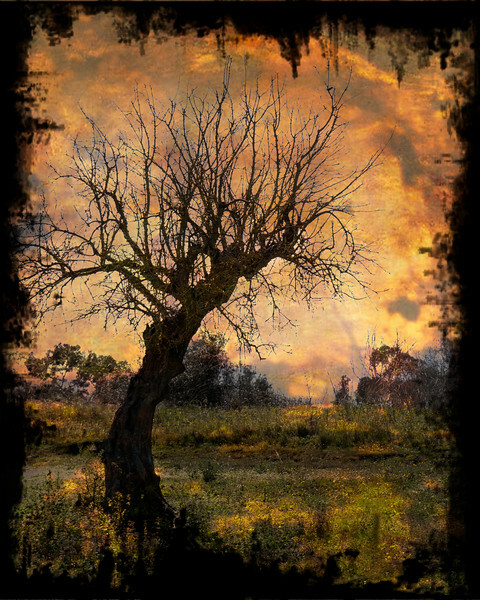 Even more, however, I love the art I create from taking my photographic images into the world of digital photo artistry. My goal is to create art with impact, that elicits a “I want to learn more about this piece” response from the viewer, that conveys a sense of wonder in the power of art. The subject matter of my photography tends to fall in the categories of nature, people, or local interest. I start my photo artistry creative process by making adjustments to enhance the exposure, color, focus, shadows and highlights of my original photographic image. Then I employ digital photo artistry techniques such as blending textures and various backgrounds with the image, digital painting, adding text or other elements, and sometimes making composite images, combining several images into one. The design of a composition is generally something that happens while engaged in the process. The art emerges as the creative juices flow.